Every once in a while, something really cool happens as a speaker. Someone in the audience hears your message and they really grab on it, get it, and act on it. Typically, that’s because we’ve just said something they they already knew but we put it into words in a new way that really resonates. That happened for us recently with Heather Kinzie. We first met Heather at the SHRM Annual Convention in Atlanta this summer. By our good fortune, we crossed paths with her again at HR Florida a few weeks ago. 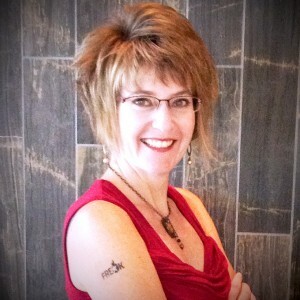 Heather is a consultant, speaker, and executive coach hailing from Anchorage, Alaska. She was speaking at HR Florida and decided to sit in our Social Gravity session there to hear it a second time (she is apparently a glutton for punishment). On the heals of hearing us in Florida, she wrote a post titled “Freak Flag” that we share here with her permission because it nails an important piece of our message. Please check out her blog and connect with her on twitter, @LeadingSolution. I had the pleasure of speaking at two state conferences this past week. 2012 HR Florida Conference and Expo and 2012 HR Indiana. I spoke on three topics: Recruitment, Engagement and HR’s Purpose. I love all three of these topics and I hope my passion and energy helped carry my message during these sessions. In any event, they either liked me or needed to bribe me to go away and thus, they presented me with gifts: their book Social Gravity, a Freak Flag for my office and a handful of temporary tattoos. Before I applied my tattoo, I pondered whether or not I had the right to wear it. Was I worthy of communicating to everyone that I dare to be unique? Could I honestly say I passionately pursue and/or utilize my talents? Is it true that I refuse to compromise my values? Flying your Freak Flag IS NOT about getting attention, being popular, being a member of some elite group, etc. It’s about loving what you do and striving to do it better each day. It’s about understanding your talents and ensuring you put them to good use. It’s about sticking up for what you believe in even if it’s uncomfortable to do so. It’s about having the courage to be authentic and real. I proudly slapped that tattoo on my arm! I spoke with no less than 30 people before that temporary tattoo started peeling off my arm. Blue Grass Musicians, Blue Haired Ladies, Veterans, Flight Attendants, Pilots, Servers, Bus Drivers, Engineers…many asked and many learned. I’m sure I didn’t do Jason and Joe justice in my explanations but nonetheless, I did the best I could explaining WHY I cared to Fly My Freak Flag. I light up and shine when I’m doing what I love. I pale when I don’t. I use my mental resources wisely when I’m doing what I love. I waste energy on fear, indecision, do-overs or drama when I don’t. I fly through my work when I’m doing what I love. My days, hours and minutes travel in slow motion when I don’t. My mind is acutely focused and sharp when I’m doing what I love. I am distracted, confused and struggle with clarity when I don’t. My conscious is clear when I’ve done what I love. I lie awake at night “what if’ing” and full of regret when I don’t. In the end, I know I am uniquely me when I’m doing what I love. And while this authenticity comes with scars, flaws, quirks, anxiety and the occasional storm of swear words, I’m ok with that – they do nothing but add contrast to the colorful tapestry that is my Freak Flag. You can find the original post by following this link. This is a fantastic description of freak flag authenticity – thanks for sharing it! I had the pleasure of meeting Heather last week at the HR Southwest conference in Fort Worth. While we’re connected on Twitter and LinkedIn, it’s always great to spend some time with your connections IRL (in real life). She and I spent more than an hour talking about HR, our professional backgrounds and why we love what we do.